This post brought to you by Altos Tequila. The content and opinions expressed below are that of Sugar & Soul. 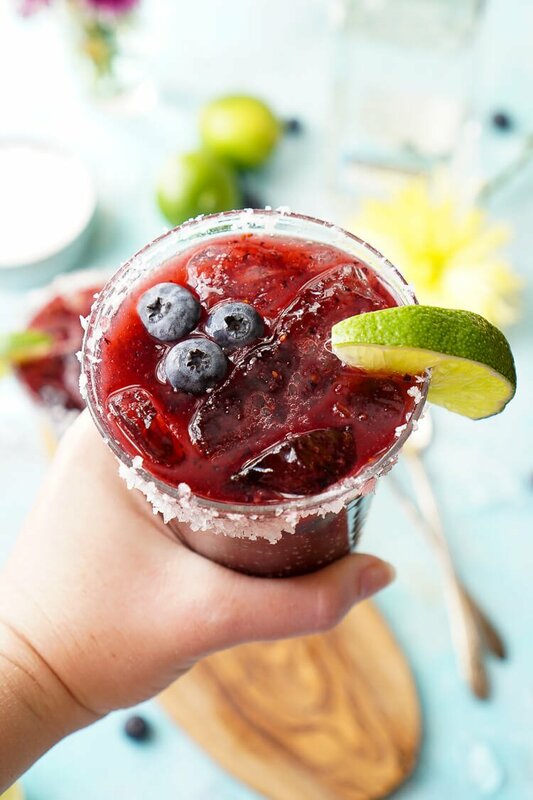 This Fresh Blueberry Margarita is made with ripe blueberries and Altos Tequila for a New England take on the classic cocktail! Spring and Summer are on the way, can you feel it? The days are getting longer and slightly warmer and colorful decor is hitting stores while families all over the country begin planning their summer vacations. Although we haven’t had too hard of a winter here in Maine, I’m excited about the bonfires and fruit cocktails and hikes that are sure to be ahead of me this summer! One of my favorite things about summer though is the fresh berries, nothing quite comes close to the juiciness of a plump wild blackberry or the perfect balance of tart and sweet in a Maine Blueberry. Farming is such an important part of Maine life and our berry crops are no exception, our blueberries are pretty much famous and with good reason, they’re amazing! Blueberries really are one of the most overlooked fruits and people often miss out on the beautiful complexity of their flavor. 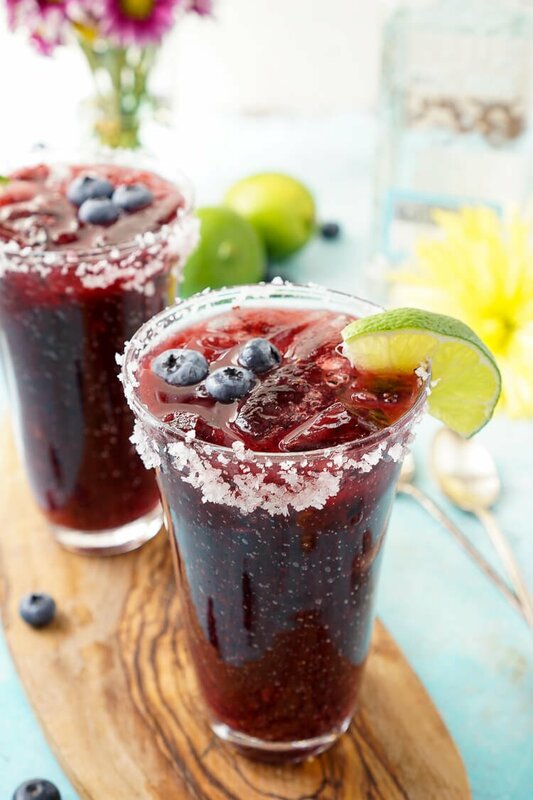 Whether they’re fresh from the field after a day of raking or baked into muffins or blended into a cocktail, the fresh blueberry flavor has a tendency to shine! 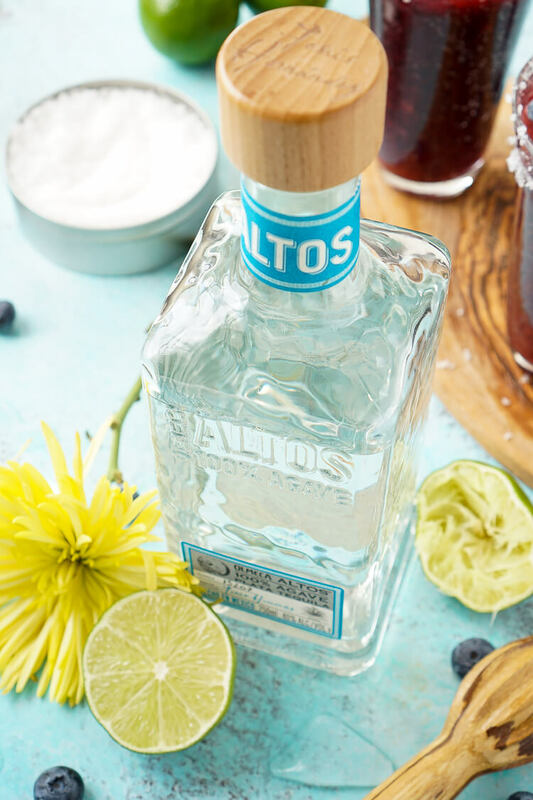 Altos Tequila is made from 100% Blue Agave that’s grown in the Los Altos highlands of Mexico. It’s cooked agave delivers herbal notes with a sweet and fruit aroma that make it a classic, affordable, and quality tequila that’s perfect for the modern world. The guys behind this craft liquor, Jesus, Henry and Dre, believe in spreading a part of their culture around the world, which is something I aim to do as well. 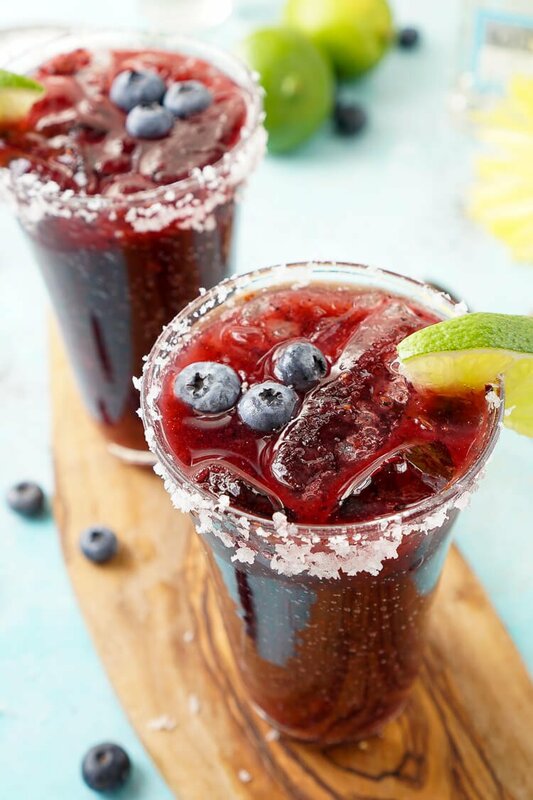 I’m so passionate about incorporating my Maine roots into my recipes, and I knew the blueberries would blend beautifully with the herbal notes of the Altos Tequila. So this Margarita is where two passions come together and where Maine and Mexico meet in a glass full or flavor and craft! 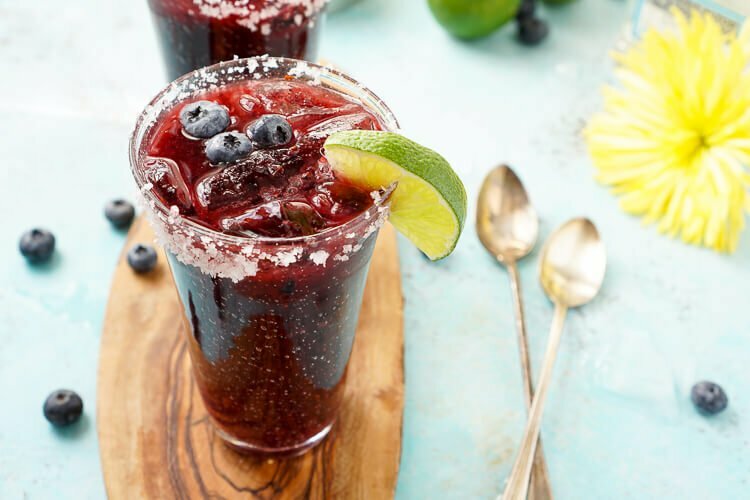 The pulp from the blended blueberries adds a subtle texture while the fresh lime juice adds a lovely vibrancy and the orange liqueur layers served up with the Altos Tequila for a smooth finish. You can rim the glass with either salt or sugar depending on what you prefer. 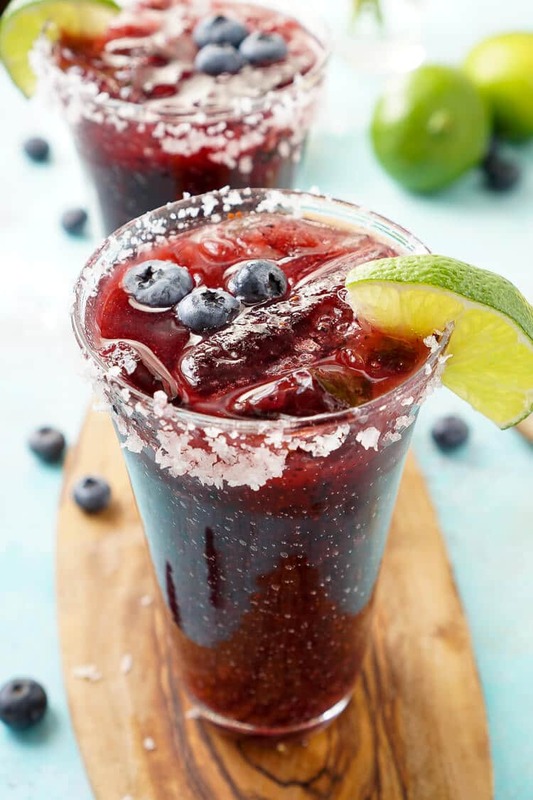 Personally, I love sugar because of the sweetness it adds to the blueberries and tequila as it runs over my lips. To find out more, check out the Altos Tequila Field Notes and follow Altos Tequila Twitter and Altos Tequila Instagram and don’t forget to check out where to buy Altos Tequila!